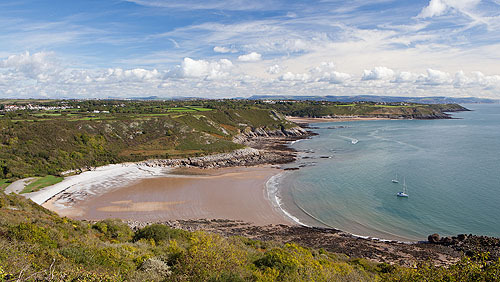 Bishopston Valley runs down to this picturesque Bay , pebbly storm beach with sand on low tides. A large community worked here in the Limestone Quarry during the 19th Century. The two former Public Houses remain . The bay was a popular smuggling cove .